I am so excited to share these Chocolate Dipped Brownie Pops for Halloween with you today as part of #HalloweenTreatsWeek. We hope you’re ready for a spooktacular event as we celebrate Halloween with the first annual #HalloweenTreatsWeek event hosted by Angie from Big Bear’s Wife. This haunting week-long event is filled with fantastic Halloween treats, recipes and some frightfully fun giveaways. 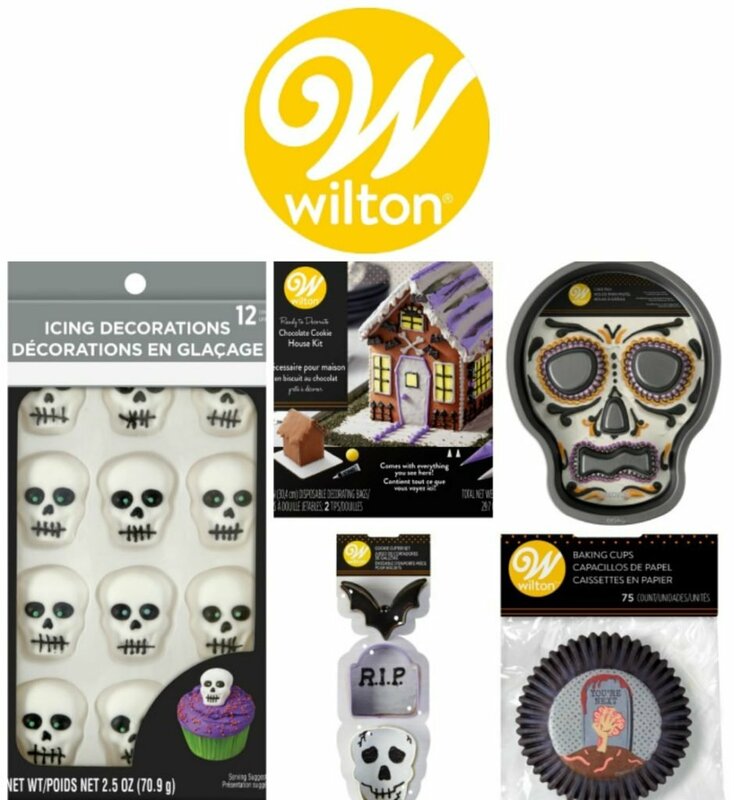 As we welcome in the month of October, we will be sharing Halloween themed recipes ALL WEEK LONG in effort to get your creative juices flowing in plenty of time to shop and gather your supplies for your Halloween treat plans at the end of the month. A bonus? 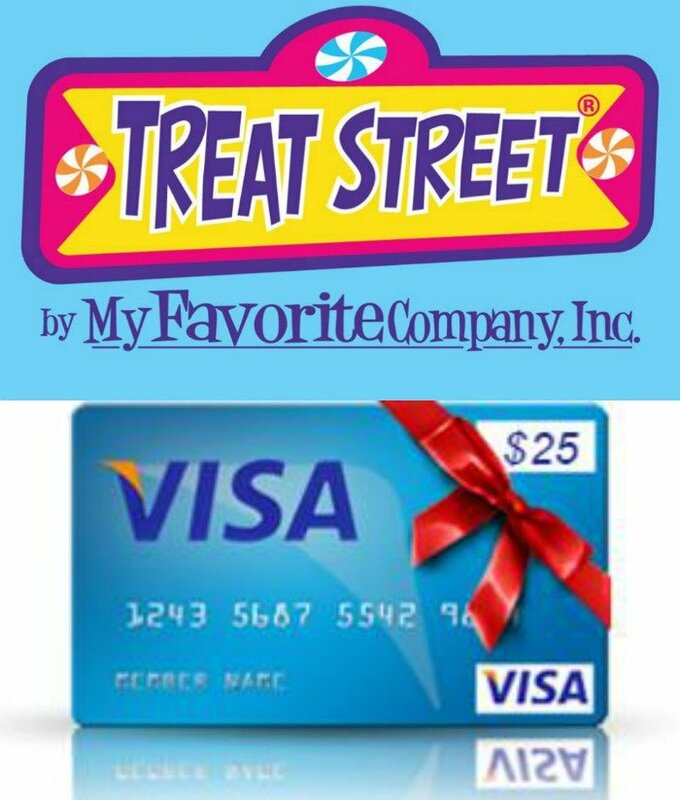 We plan on rewarding you with giveaways for hanging out with us. To kick things off, I’ve taken my most favorite homemade brownie recipe, stuck a popsicle in them, dipped the squares into chocolate and sprinkled on the Halloween fun. You can call them brownie lollipops, brownie pops, brownies on a stick, or simply Halloween Chocolate Dipped Brownies, because it really doesn’t matter what you call them, you’ll be bringing the fun to your Halloween festivities. You may not be bringing the BOO, but you’re for sure bringing the WAHOO. The sprinkles are what make the brownies so special. Ordinarily, I’m not a huge sprinkle fan. I know I’m in the minority camp by saying that, but while I love decorating with sprinkles, I just don’t love eating them. 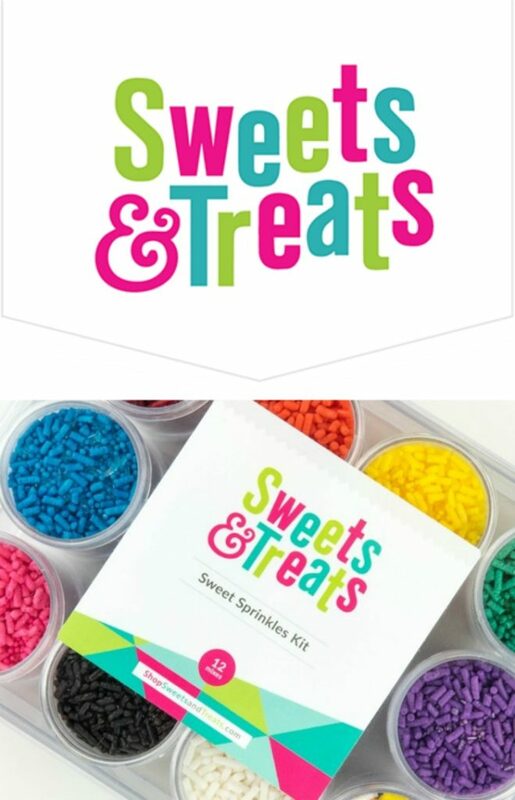 With that being said, these custom sprinkle mixes from Sweets & Treats Boutique had me thoroughly convinced to get my sprinkle on. I don’t know that photos do these little guys justice, but y’all- there’s tiny baby ghosts and pumpkins in the sprinkle mix. And…..tiny iridescent pearls in that there sprinkle mix? Why, yes. Yes, I think I might be interested. Let’s all agree right now that it’s the cutest darn sprinkle mix you’ve ever seen! Preheat oven to 350 degrees. Lightly spray an 8×8 inch baking pan (you may also use a 9×13 pan, just know the brownies will not be as thick) with non-stick cooking spray and place a piece of parchment paper inside the pan with a bit of overhang. The overhang will serve as your handles, so leave enough to lift the brownies once layered. In a <g class=”gr_ gr_344 gr-alert gr_spell gr_inline_cards gr_disable_anim_appear ContextualSpelling ins-del multiReplace” id=”344″ data-gr-id=”344″>medium sized</g> bowl, stir together the cocoa and baking soda. Blend 1/3 cup of the canola oil into the cocoa until well mixed and shiny. Carefully add the boiling water and stir until the mixture thickens. Add the sugars and stir in the remaining 1/3 cup of canola oil and eggs; mix until smooth. Slowly add the flour, vanilla and salt. Fold in the chocolate chips. Pour into prepared baking pan and bake at 350 degrees for approximately 40 minutes or until a toothpick in the center comes out slightly wet. *If you wait until a toothpick comes out clean, you’ll have dry brownies. Break the chocolate into small pieces and place in a microwave safe dish (I use a 2 cup measuring cup) with the vegetable oil. Microwave the chocolate in <g class=”gr_ gr_268 gr-alert gr_spell gr_inline_cards gr_disable_anim_appear ContextualSpelling multiReplace” id=”268″ data-gr-id=”268″>20 second</g> intervals until the chocolate is smooth, stirring in between each heating. Cut the brownies into the desired size “pop” and place a wooden popsicle stick in the center. Use the popsicle stick to dip the brownie into the chocolate, gently tapping the excess chocolate. Immediately sprinkle while the chocolate is still wet. Place on a piece of parchment paper. Place in the refrigerator to quickly harden the chocolate. Serve. And if you read my post yesterday about my pops of orange to my rather bland and boring kitchen, well then, my friends you could say I’ve taken that same approach to what could’ve been some boring (but not bland!) looking brownies. Tie a bit of ribbon to your popsicle stick and I doubt anyone will disagree that your Halloween Chocolate Dipped Brownies aren’t the star of the show. Don’t forget that we have 5 (five) great giveaways for you this week thanks to our amazing sponsors! 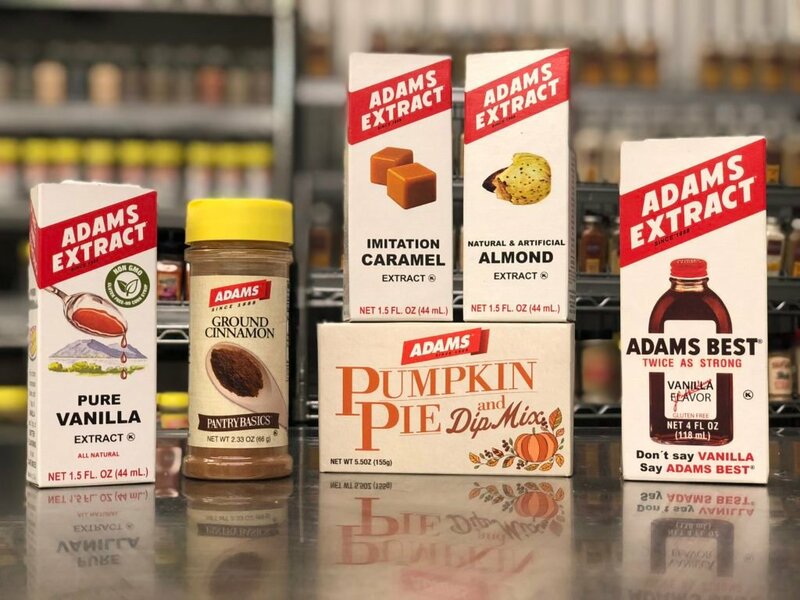 Prize #2 — Adam’s Extract is giving away – 1 Gift Pack – including Pure Vanilla Extract, Ground Cinnamon, Caramel Extract, Almond Extract, Pumpkin Pie Dip Mix and Adam’s Best Twice as strong Vanilla. What an easy and fun treat, and I love a good cocoa powder brownie! I’m embarrassed to admit how many of these I would eat in a sitting! These little brownie pops are adorbs! I never thought to make brownie pops. I bet the kids would love to get in the kitchen and help decorate them.